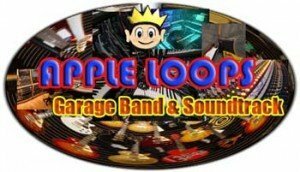 Kid Nepro’s Big Beat collection is now available in Apple Loop format for Apple’s popular Garage Band and Soundtrack programs. Easily create grooves with our “SP1200 Beats”, M3 “Proto Rock” Program/Combi Loops and Triton “Producers Mix”. Over 500 New loops for Hip Hop, Techno, Rock, Rave, House and Industrial tracks. All time sliced and well organized so you can just drag and drop a cool mix together in minutes. Each file has between 20 and 30 loops included in it and is only $5. Buy six files and get two FREE. Any Eight Files for $30. Delivery as downloadable files only. Pick the “FREE e-mail delivery” option and “AIFF” format for same day delivery. More info and demos at: THE SAMPLE CITY SECTION Of our web site.